Dramatic declines in populations of large elasmobranchs, as well as the potential release of elasmobranch mesopredators, have led to interest in the ecological role of this group of fishes. The first step to elucidating their ecological importance, however, is an understanding of elasmobranch community structure. Such studies are relatively uncommon, especially in communities where human impacts are thought to be low. We used visual surveys and a variety of capture methods to determine spatial and temporal variation in the species composition of a sandflat elasmobranch community in the relatively pristine ecosystem of Shark Bay, Australia. Overall, juvenile batoids dominated the community. Eleven elasmobranch species (10 batoids, 1 shark) were found to inhabit the sandflats during the cold season (June–August) and 21 species (12 batoids, 9 sharks) were recorded during the warm season. The overall density of elasmobranchs occupying the sandflat was also higher during the warm season. Nearshore areas, especially during the warm season, supported the highest densities of elasmobranchs overall as well as the dominant species (giant shovelnose ray, Glaucostegus typus, and reticulate whipray, Himantura uarnak). 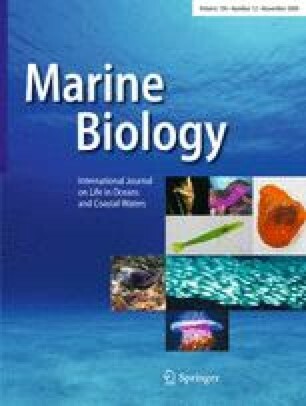 Such high elasmobranch abundance may be driven by a combination of factors including prey availability, predator avoidance, and behavioral thermoregulation. The high species richness and density of elasmobranchs in such a restricted area suggest that elasmobranch mesopredators could exert strong top-down impacts in nearshore environments in the absence of human impacts, but raises questions of how resources are partitioned among apparently similar species in this system. We would like to thank everyone who helped in the field, especially David Heithaus, Kirk Gastrich, Meagan Dunphy-Daly, and Jimboy Poland. We also thank the Department of Environment and Conservation, Shark Bay District; Rory McAuley of the Department of Fisheries, Western Australia; the Monkey Mia Dolphin Resort for logistical matters; and Joel Trexler for statistical advise. This research was possible due to a Presidential Fellowship (to JJV), a grant from the National Geographic Expeditions Council (to JJV), National Science Foundation grants OCE0526065 and OCE0745606 to MRH, and Florida International University’s College of Arts and Sciences. This research was conducted under authorization by the Florida International University Institutional Animal Care and Use Committee, Fisheries Western Australia permit 4/05 and Department of Environment and Conservation permits CE002111 and SF006493. This is contribution no. 38 of the Shark Bay Ecosystem Research Project.